Tasmanian baby formula shares rise after Fonterra deal. 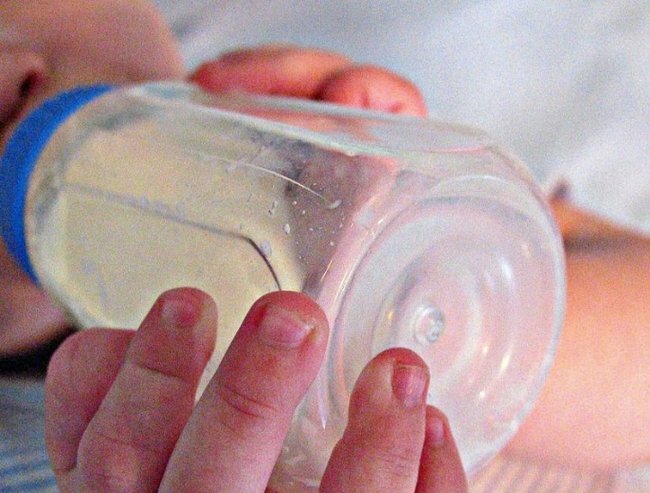 Shares in Tasmanian baby formula company Bellamy's jump after Fonterra deal. Shares in Tasmanian baby formula company Bellamy’s Organic have spiked after it announced a multi-million-dollar agreement with Fonterra Australia to increase production. The move came after a recent spike in global demand for organic baby formulas, particularly from China, which resulted in buyers clearing supermarket shelves of Bellamy’s formula. Under the five-year deal, Fonterra’s south-east Victorian plant will manufacture a range of new organic formulas for the Launceston-based company. The announcement pushed the share price to a year-high of $11.73, before closing at $11.55. The company listed at just $1 a share in August last year. Bellamy&apos;s Australia CEO Laura McBain said the Fonterra deal would result in a significant lift in capacity. "We have been working throughout this year to seamlessly add capacity so that we can meet the growing demand for our certified organic formulas from Australian parents and our export markets," she said. Fonterra&apos;s managing director for Oceania Judith Swales said she expected demand for baby formula would continue to grow. "You&apos;re seeing a change in demographics in some of the emerging markets and places like China, mums going back to work then obviously their children need to be fed," she said. "So I think obviously we are seeing that shift in behaviour which is fantastic news, and things like the relaxing of the one-child policy in China, you would think they will all help stimulate demand further down the track." Fonterra will manufacture the products in Victoria from early next year.